China is the largest Internet and Mobile Internet market in the world. Major players like Alibaba and Tencent have grown to be global leaders in eCommerce and social networks respectively while innovative startups like Xiaomi and Skymobi are leading the wave of mobile revolution in China. During this very special event, we are delighted to bring you a delegation of elite VIPs from the Internet and Mobile Internet in China consisting of top-profiled venture capitalists, entrepreneurs, and C-level executives. It’s your chance to take advantage of this intimate networking event in order to secure funding for your startup, build partnership with China largest Internet companies, or just hobnob with the industry movers and shakers from China. Seats are extremely limited. Register earlier and mark your calendar. Do not miss out on this golden opportunity. Yong Wang, CEO, DeNA China – DeNA is Japan’s largest mobile internet company and currently growing in China. Bin Lin, President, Xiaomi – Mobile handset manufacturer and app developer in China. China’s “most ambitious startup”. Mr. Lei, joined Kingsoft Corporation Limited in 1992,was appointed as the general manager in 1998.Led by Mr. Lei Jun, Kingsoft was listed on the Stock Exchange of Hong Kong on Oct 9th, 2007. In December 2007, Mr. Lei relinquished his position as chief executive officer, chief technology officer and president of the company, but remained as an executive director and vice Chairman of the board of the company. Mr. Lei was co-founder and Chairman of Joyo.com, which was founded in April 2000 and sold to Amazon.com in 2004. In Dec. 2006, Mr. Lei has invested UCWEB as an angel investor. Mr. Lei received a lot of honors, including the Chinese Internet Innovator, the best Chinese Annual Angel Investor, one of the Business Leaders with Influence in the next 30 years, the Most Contributive Leader in software industry, Elite People in Chinese Internet industry, and so on. Wang Jian is chief architect for Alibaba Group and president of Alibaba Cloud Computing. He joined Alibaba Group in September 2008. Prior to this, Wang Jian was assistant managing director at Microsoft Research Asia. Before joining Microsoft Research Asia in 1999, Wang Jian worked at Zhejiang University in Hangzhou, China as a professor and as head of the psychology department. He graduated from the psychology department of Hangzhou University in 1990 and has a Ph.D. degree in engineering. Wang Jian is a standing committee member of the China Computer Federation (CCF), which recognized him in 2008 with an award for outstanding contribution. He was honored by the CCF Young Computer Scientists & Engineers Forum as one of China’s 10-year outstanding young IT professionals. Wang Jian was the chair of the 2010 CCF Conference and a co-chair of the 2011 ACM Conference on Computer Supported Cooperative Work. SKY-MOBI Inc., a high-tech software enterprise was invested by American VC. The company was established in 2005. SKY-MOBI becomes one of the largest mobile application software providers only in 3 years. SKY-MOBI develops mobile application softwares for mobile phone operators, manufacturers and service providers. At present, SKY-MOBI Inc. has developed many mobile application softwares. It is including mobile whether report software, touch screen software, mobile stock trading software. SKY-MOBI Inc. headquartered in Hangzhou, and has offices in Shanghai, Shenzhen and Beijing, China. There are more than 200 employees working for SKY-MOBI Inc. which including 90% of the college graduates or above. The average age of the employees is about 27. All of the core team members came from the world class telecommunication enterprises. Every core team member has more than 5 years experience. The Philosophy of SKY-MOBI: Create more values for our customers! Mr. Yong Wang has over 10 years experience in mobile wireless management and operation, and has successfully established a number of companies in both China and the United States. Mr. Yong Wang is the CEO of DeNA (TSE:DENA) China. In this role, he is fully in charge of the company’s management and daily operations. Meanwhile, he also pursues the investment opportunities in China. Prior to that, Mr. Wang served in CA Mobile, one of the largest mobile advertising companies in Japan. During his tenure in CA Mobile, he established the first mobile advertising company in China—CA Mobile China in 2003 and took the role as COO. In 2006, he established the first virtual mobile social networking service—Ixenland in the U.S. and played the role as President and CEO. Prior to CA Mobile, Mr. Wang served in NTT(NYSE:NTT), the largest telecommunication company in the world, to provide global telecommunication management consulting service to Japanese entrepreneurs. Mr. Wang holds the MBA degree from University of Illinois at Chicago and a Bachelor’s degree from Mie University of Japan. After joining us in January 2004, Mr. Wu has been responsible for sales and marketing in the PRC, the overseas business development and the operations in the USA. He is currently responsible for our corporate finance and financial management matters. He is also in charge of the business development and the operation of the mobile internet business division in NetDragon. Mr. Wu graduated with a Bachelor’s degree in Economics from the University of California, Berkeley in 1994, and a Master’s degree in business administration from Duke University in 2004. He has over 10 years of experience in business and management experience. He was the vice-president in the marketing of Beso from 1995 to 1999. From 2000 to 2002, he was the Chief Operating Officer of Octant Communications Inc.
Mr.Bi has rich experience in IT industry since 1998. He served as assistant to Chairman of HC International Inc (HK8291), one of the earliest e-commerce companies in China. Then he joined into Robin Li’s Baidu (Nasdaq:BIDU) founding team as director of marketing. He spent 3 years on marketing strategy and execution of Baidu, from an unknown company to No.1 internet brand in China and No.1 network traffic in Asia. His multi-marketing model is called Baidu Marketing Model by industry. In 2005, Mr.Bi witnessed the IPO of Baidu and served as marketing strategic consultant of Baidu until the end of 2006. In 2008, Mr.Bi founded Letao (www.letao.com) with Ceyuan Ventures. In 2010, as the largest shoe e-commerce company in China, Letao built up collaboration with international brands such as NIKE, Adidas etc and received $10M investment from Tiger Global Management Fund, one of the largest global hedge funds. Because of the rapid growth of and high conversion rate, Letao received another round $30M investment from Tiger Global Management Fund at the end of 2010. Beijing Xiaomi Technology Co., Ltd is a growth enterprise which is engaged in development of Android, and the members of leader team are from Google, Microsoft, and Kingsoft. It started in April, 2010, and was invested by well-known Business Angel, Morningside and Qiming. 2011: President of Beijing Xiaomi Technology Co., Ltd.
1995-2006: Project supervisor, Senior development manager of Microsoft Asia Pacific R&D Group, Development director of Microsoft Corporation. As a serial entrepreneur in mobile Internet, Wenchu successfully sold his 1st company to a Nasdaq listed company in 2004. He founded Moabc in 2005, and made it as a leading mobile community with +10 million users. Great Wall Club was founded by Wenchu in Mar.2008. He speaks Chinese, and English. Barrett Parkman is Vice President of the Great Wall Club where he oversees international growth and business development. In the past 2 years, Barrett and his Chinese business partners have built the Great Wall Club into a global platform for mobile internet leaders and grown their annual event, The Global Mobile Internet Conference into the largest and most elite event of its kind in Asia. He has become a key connecting point and trusted partner between tech industries of China, the US, and other countries and has worked with companies such as Tencent, Sina, Google, Facebook and LinkedIn. Barrett is passionate about assisting Chinese companies expand into foreign countries, supporting international companies to access China’s market and fostering trusted relationships between industry leaders. The Global Mobile Internet Conference in Beijing is now the largest and most influential mobile internet conference in Asia drawing more that 5000 participants from 30 countries. There is no other event that draws the same level of speakers or provides the same level of insights on mobile business in Asia. The GMIC Roadshow US will bring some of the same high quality speakers, content and networking to Silicon Valley for the first time. The GMIC Roadshow USA is an exceptional opportunity for Silicon Valley based companies to learn about opportunities in China, build relationships with top leaders and promote their initiatives in Asia without even leaving the Bay area. Silicon Valley-China Wireless Technology Association (SVCWireless) is a leading non-profit professional association to bridge the mobile/wireless industries between China and the United States. The organization is founded in year 2000 and now has more than 5000 members and 30 partners around the world. SVCWireless promotes entrepreneurship, innovation, and venture investment with the support from our members, sponsors and partners. Silicon Valley Entrepreneurs (SVEntrepreneurs) is a fast growing mobile Entrepreneurs community. 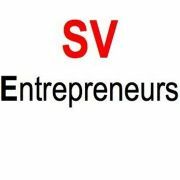 SVE is also one of the most active entrepreneur communities in Silicon Valley.